Heat oil in kadai, add mustard seeds, cumin seeds, let them splutter. Add curry leaves, green chilly, and asafoetida, peanuts mix well. Add onion, turmeric powder, mix well cook for 1 to 2 minutes. Add Raw mangoes and mix well. Add salt, red chilly powder, coriander powder and mix well. Add soaked poha, lemon juice, sugar and mix well. Cook for 2 to 3 minutes. 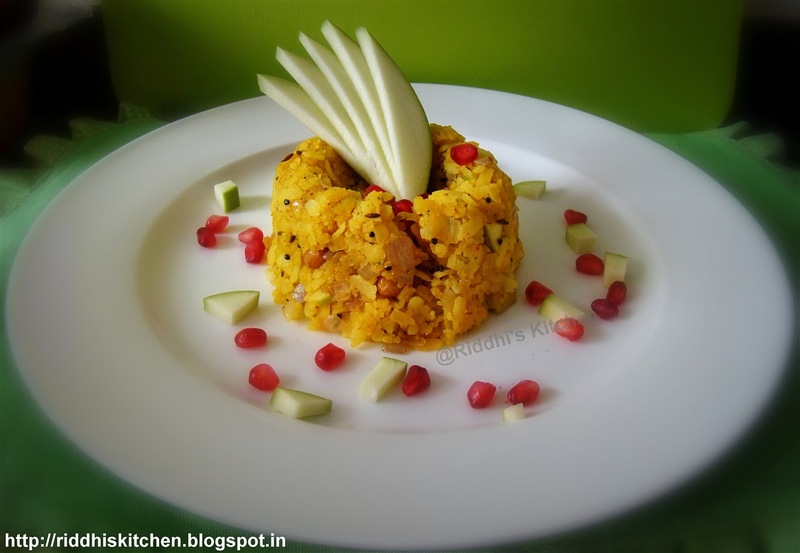 Garnish with raw mango slices and pomegranate pearls.